You are so fortunate to live in this beautiful, snow-filled world. What a gorgeous photo! I love your "Wordless Wednesdays" because they are a nice way to pause in the middle of a hectic week. 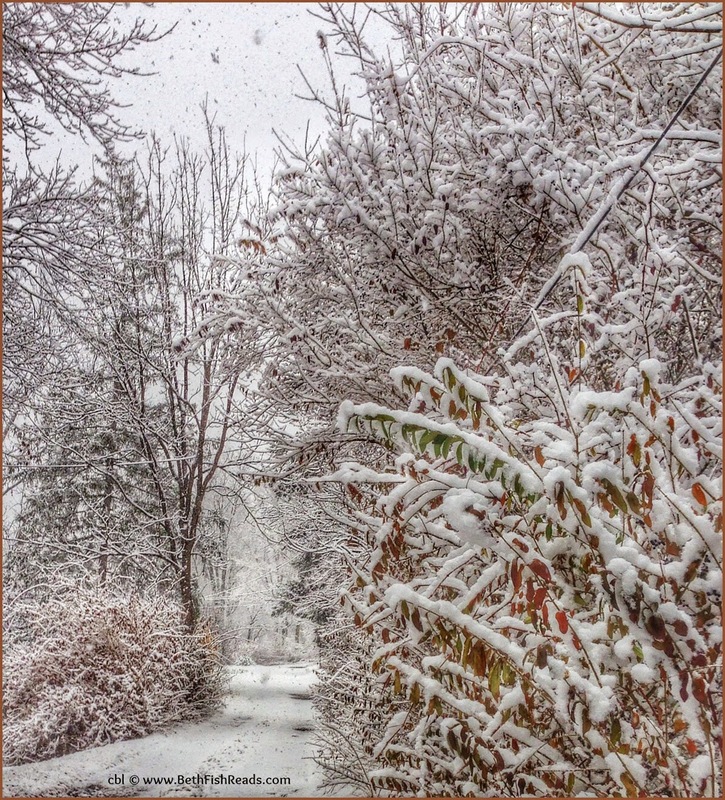 An enchanting path to winter. Brr! We had a dusting of snow on November 1 - I hope that's all we see this year. Oh man, I adore this shot ... Can I come over and go for a walk with you? Lovely photo, pretty and serene! So pretty. It's cold here but no snow yet. What a beautiful view! I'd love to take a walk there. That is absolutely breathtaking! I love the touches of red. Gorgeous images... even if I'm not a winter-lover,, I have to appreciate its beauty, and you've captured it well. Winters scenes can be so beautiful. You captured this well.